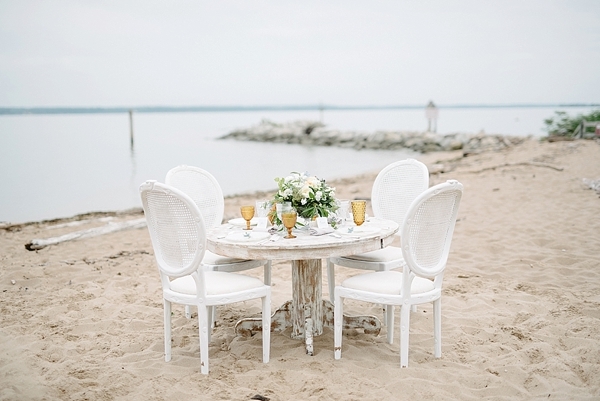 Along the Potomac River with the most beautiful soft light at Leesylvania State Beach, The Kama Photography, Claire Duran Weddings & Events, and an incredible creative team dreamed up mystical waterside romance filled with shabby chic vintage furniture, lush organically-arranged florals, and timeless details. 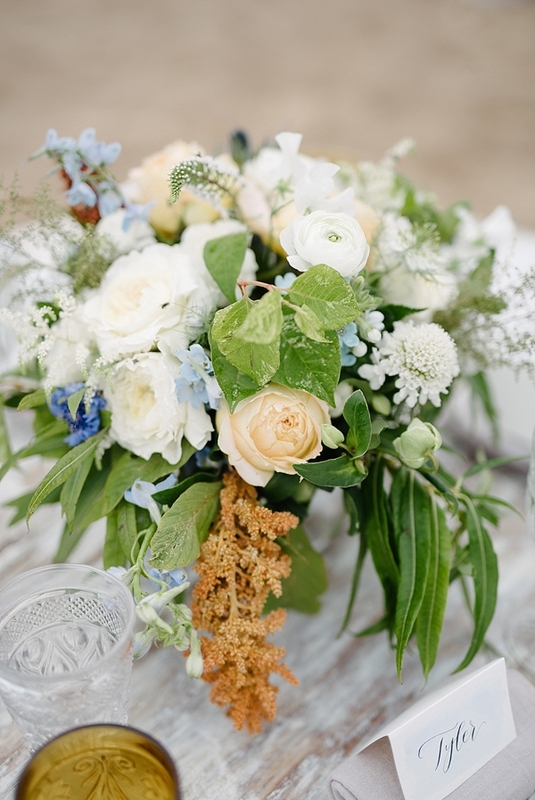 Mixed grays and blues make up this minimal inspiration's color palette with pops of mustard yellow and distressed white. 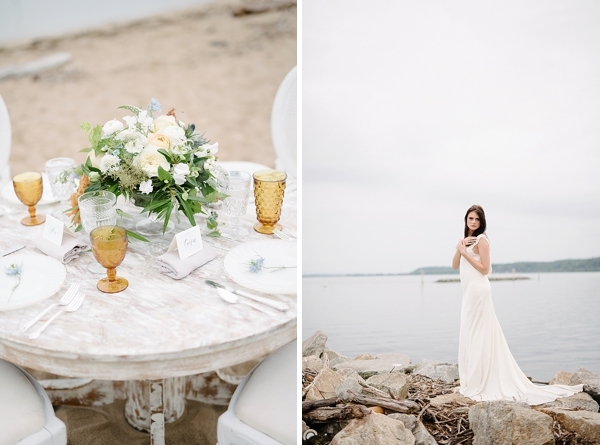 Everything perfectly coordinated with the surrounding forest, jetty, and sand -- a lovely tribute to the beauty of Virginia's coastline. 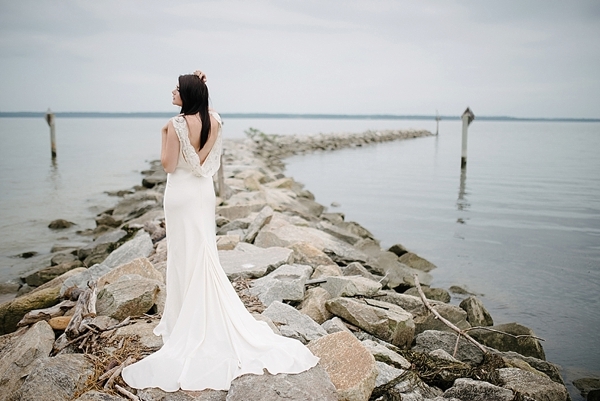 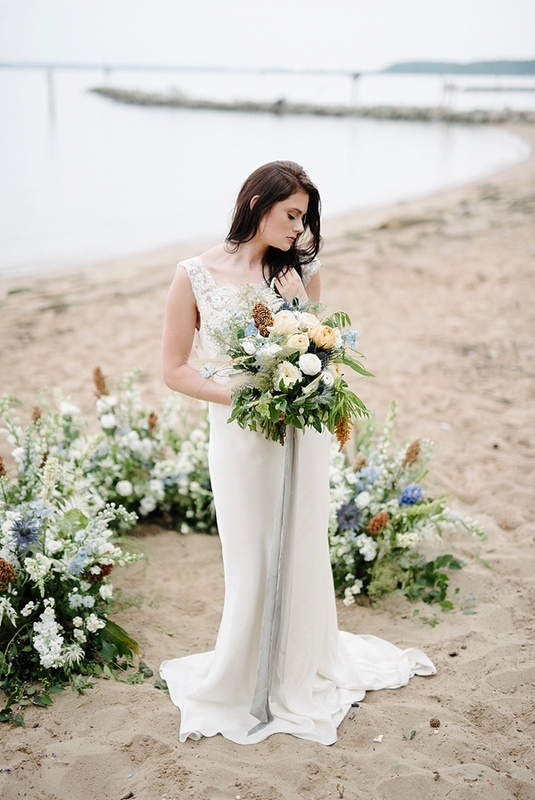 One of our favorite details is the bride's flowy dress with a draping cowl open back and embroidered neckline; it's the quintessential beach gown! 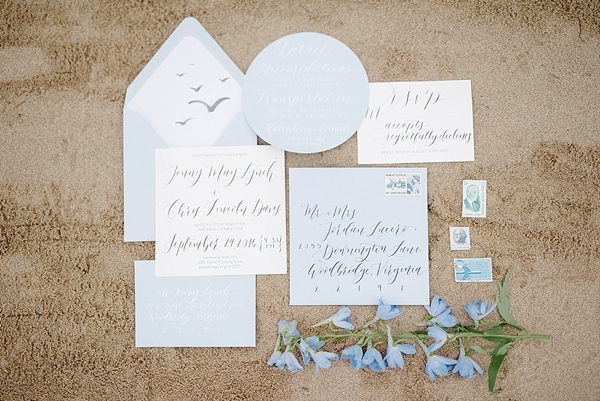 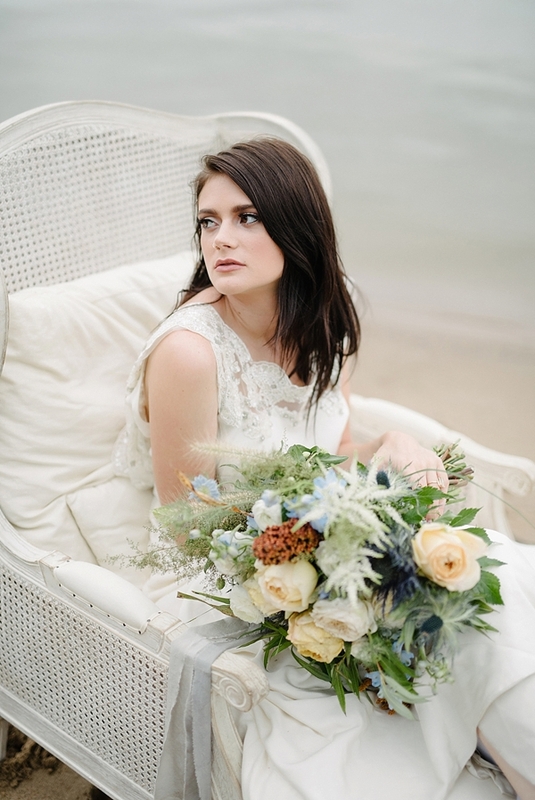 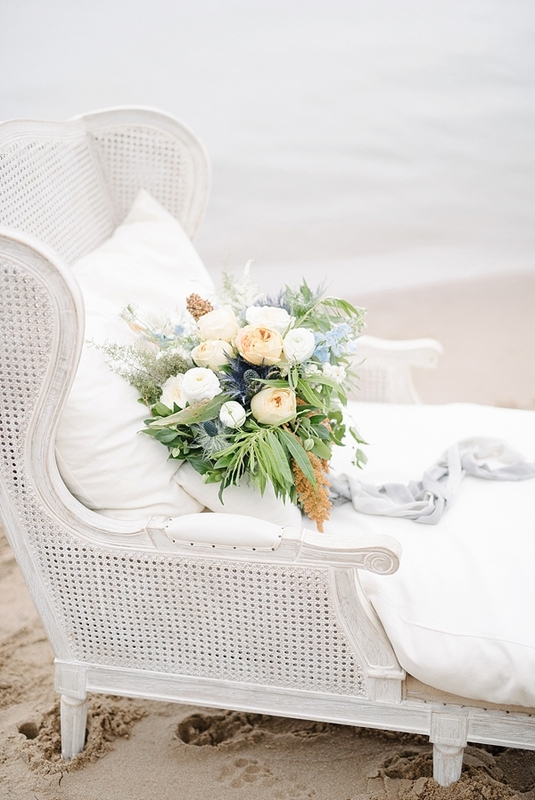 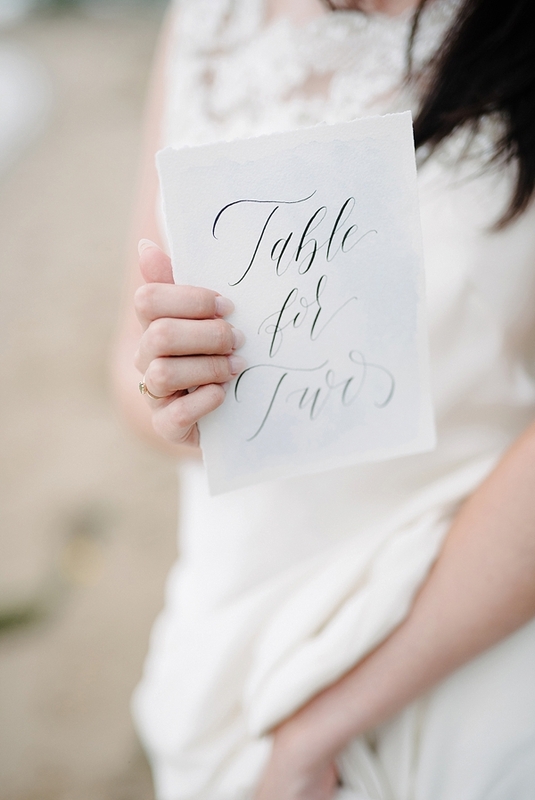 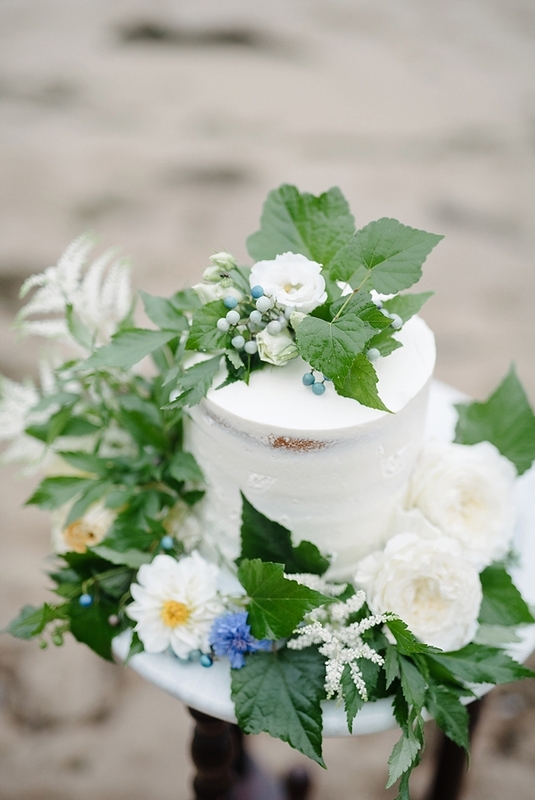 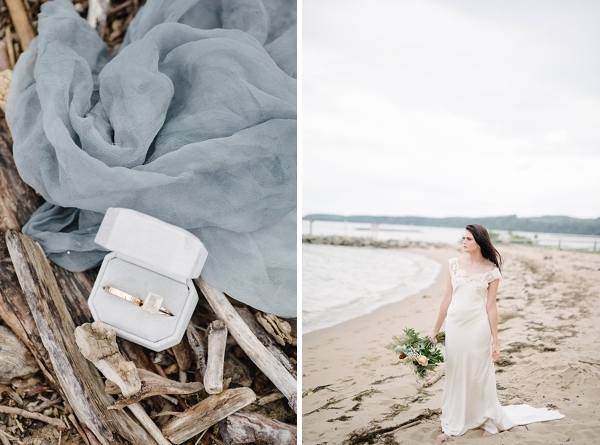 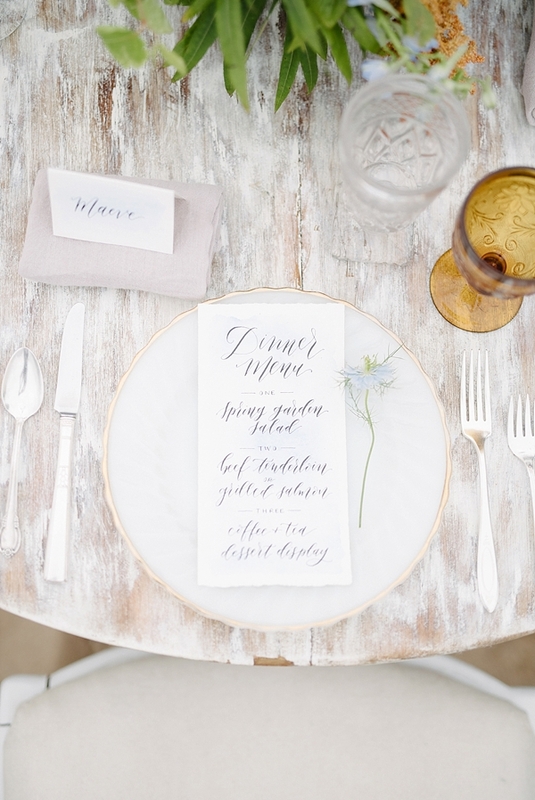 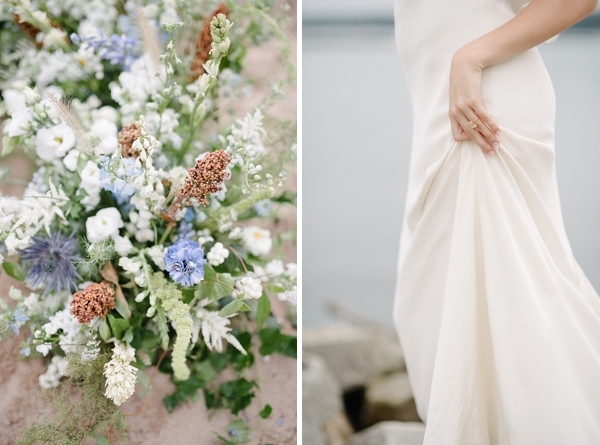 From the seagull-decorated stationery to the ceremony altar ring of blooms, this inspiration shoot is a major swoonfest for those looking for coastal wedding ideas with a love for natural moments.